CATV system is basically a RF Signal distribution system. During distribution RF signal losses according to the resistance of co-axial or the length of co-axial cable it is very necessary to measure the strength of RF Signal for smooth transmission. 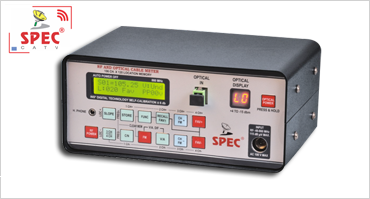 For measuring strength of RF signal our digital cable signal analyzer is used. Quality wise it has very perfect and accurate measuring characteristics.